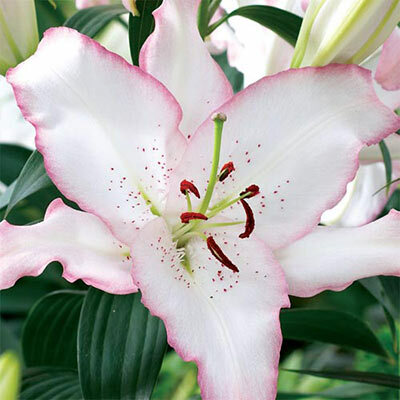 Exquisite bright white flowers are faintly blushed with a rosy pink edge. The petals are less reflexed for a trumpet effect. These exotic Lilies are beautiful, delicate and fragrant. Easy to grow, they bring year after year of spectacular blooms.